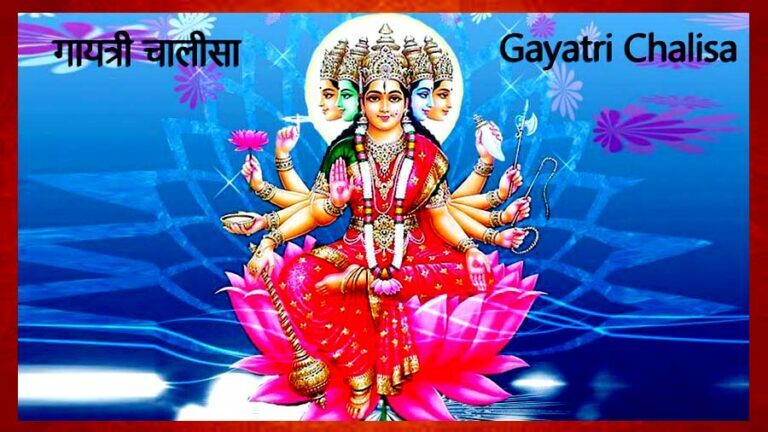 Gayatri Chalisa is recited for the worship of Goddess Gayatri. Purify yourself by taking bath before you start chanting Gayatri Chalisa. First chant Gayatri Mantra and then start Gayatri Chalisa path. Goddess Gayatri represent the combined form of Goddess Saraswati, Goddess Laxmi and Goddess Parvati. This is the main reason why both Gayatri Mantra and Gayatri Chalisa are believed to be some of the most powerful prayers in Hinduism.